While the international boycott against apartheid South Africa is credited with leading to the regime's downfall, here it is considered irrelevant and unworthy of comparison. Israel itself is one of the world's prolific boycotters. Not only does it boycott, it preaches to others, at times even forces others, to follow in tow. Israel has imposed a cultural, academic, political, economic and military boycott on the territories. At the same time, almost no one here utters a dissenting word questioning the legitimacy of these boycotts. Yet the thought of boycotting the boycotter? Now that's inconceivable. Most people here are appalled at the notion that anybody beyond Israel's borders would think to boycott their country, products or universities. Boycotts, after all, are viewed in Israel as illegitimate. Anyone who calls for such a step is perceived as an anti-Semite and Israel-hater who is undermining the state's very right to exist. In Israel itself, those who call for a boycott are branded as traitors and heretics. The notion that a boycott, limited as it may be, is likely to convince Israel to change its ways - and for its own benefit - is not tolerated here. Even an obvious, logical step - like the Palestinian Authority's boycott of products made in the settlements - is viewed by hypocritical Israeli eyes as provocative. Moreover, while the international boycott against apartheid South Africa is credited with leading to the regime's downfall, here it is considered irrelevant and unworthy of comparison. It would be possible to identify with these intolerant reactions were it not for the fact that Israel itself is one of the world's prolific boycotters. Not only does it boycott, it preaches to others, at times even forces others, to follow in tow. 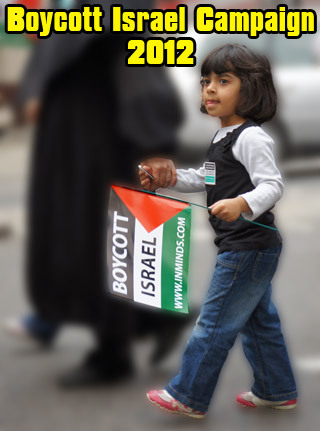 Israel has imposed a cultural, academic, political, economic and military boycott on the territories. At the same time, almost no one here utters a dissenting word questioning the legitimacy of these boycotts. Yet the thought of boycotting the boycotter? Now that's inconceivable. The most brutal, naked boycott is, of course, the siege on Gaza and the boycott of Hamas. At Israel's behest, nearly all Western countries signed onto the boycott with inexplicable alacrity. This is not just a siege that has left Gaza in a state of shortage for three years. 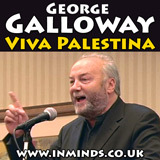 Nor is it just a complete (and foolish ) boycott of Hamas, save for the discussions over abducted soldier Gilad Shalit. It's a series of cultural, academic, humanitarian and economic boycotts. Israel threatens nearly every diplomat who seeks to enter Gaza to see firsthand the unbearable sights. In addition, Israel bars entry to anyone who wishes to lend humanitarian aid. We should note that the boycott isn't just against Hamas, but against all Gaza, everyone who lives there. The convoy of ships that will soon sail from Europe to try to break the siege will carry thousands of tons of construction material, prefab houses and medicine. Israel has announced that it plans to stop the vessels. A boycott is a boycott. Doctors, professors, artists, jurists, intellectuals, economists, engineers - none of them are permitted to enter Gaza. This is a complete boycott that bears the tag "Made in Israel." Those who speak about immoral and ineffective boycotts do so without batting an eye when it comes to Gaza. Israel is also urging the world to boycott Iran. But it's not just Gaza and Iran that are at issue here, because entry into Israel and the West Bank is being affected by the recent frenzy of boycotts. Anyone who is suspected of supporting the Palestinians or expressing concern for their lot is boycotted and expelled. This group includes a clown who came to organize a conference; a peace activist who was due to appear at a symposium; and scientists, artists and intellectuals who arouse suspicions that they back the Palestinian cause. This is a cultural and academic boycott on all counts, the type of boycott that we reject when it is used against us. Yet the anti-boycott country's list of boycotted parties does not end there. Even a Jewish-American organization like J Street, which defines itself as pro-Israel, has felt the long arm of the Israeli boycott. It is permissible to boycott J Street because it champions peace, but we can't tolerate a boycott of products made in settlements that were built on usurped land. Denying a visiting professor entry into Gaza for an appearance at a university does not qualify as a boycott, but cutting off ties with Israeli institutions that provide fast-track degree programs for army officers and interrogators in the Shin Bet security service - people who are often viewed around the world as complicit in war crimes - is viewed as verboten. Yes, an Israeli who lives in Israel will have a hard time preaching to others about the virtues of a boycott when that person does not boycott his or her own country or university. But it is his right to believe that a boycott could compel his government to end the occupation. As long as the Israelis don't pay any price, there won't be a change. This is a legitimate, moral position. It is no less legitimate or moral than those who claim that a boycott is an immoral, ineffective tool while exercising that same option against others. So you oppose a boycott against Israel? Then let's first do away with all the boycotts we have imposed ourselves.